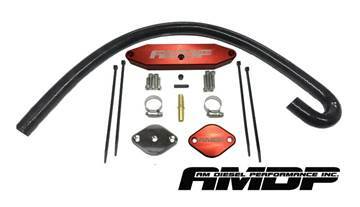 Remove the problematic EGR valve and cooler from your 2017-2019 Ford Powerstroke 6.7L diesel truck with this high quality kit made by AM Diesel Performance. Choose from either a red or black colour based kit. Race tuning required. FloPro's polished 304 Stainless Steel up-pipes with reinforced interlocking braid flex bellows for your 2008-2010 Ford Powerstroke 6.4L. Both driver side and passenger side up-pipes with gaskets. Also includes EGR/Cooler blocks and polished intake elbow. 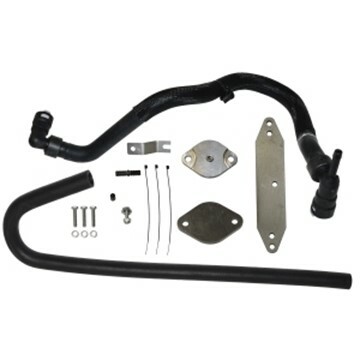 Eliminate the problematic EGR valve and cooler with this high quality, low cost delete kit for your 2004.5-2005 GMC/Chevy Duramax 6.6L LLY diesel. Race tuning required. Eliminate the problematic EGR valve and cooler with this high quality, low cost delete kit for your 2006-2007 GMC/Chevy Duramax 6.6L LBZ diesel. Race tuning required. 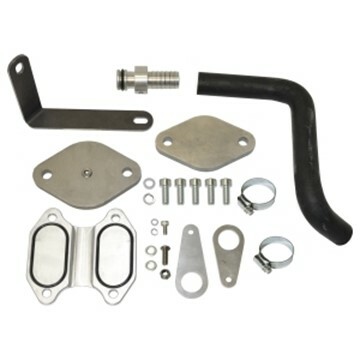 Eliminate the problematic EGR valve and cooler with this high quality, low cost delete kit for your 2007.5-2010 GMC/Chevy Duramax 6.6L LMM pickup. Race tuning required. 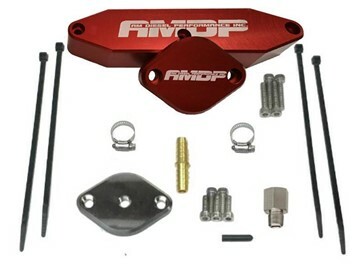 Eliminate the problematic EGR valve and cooler with this high quality, low cost delete kit for your 2011 - 2015 GMC/Chevy Duramax 6.6L LML pickup. Race tuning required. Will not work on late 2015 models. 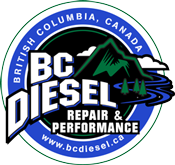 Eliminate the problematic EGR valve and cooler with this high quality, low cost delete kit for your 2008-2010 Ford 6.4L Powerstroke diesel. Comes with intake manifold. Race tuning required. 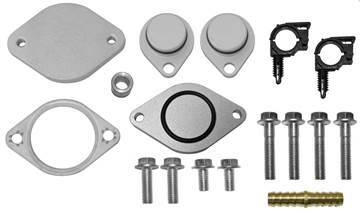 Eliminate the problematic EGR valve and cooler with this high quality, low cost delete kit for your 2003-2007 Ford Powerstroke 6.0L pickup. 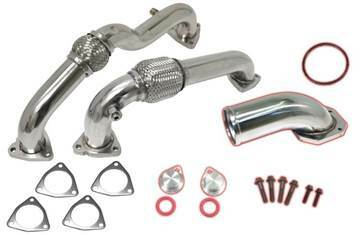 Completely replaces factory EGR giving you quicker turbo spool and lower EGT's.